Dropping your child off for the first time at a daycare center is an emotional experience for any parent, but the worry can be lessened a little by making sure the center you choose will provide a safe and stimulating haven for your child. Getting good answers to the following list of important questions will go a long way towards setting your mind at rest. Is the Center Fully Licensed and Certified? It’s important that the center you choose should have all relevant licenses and certifications. No ifs, no buts, and no exceptions. While license requirement varies by state, many states will make a surprise visit to the facilities for daycare inspections. This also means that all employees have passed background checks. What Happens if a Child is Sick? 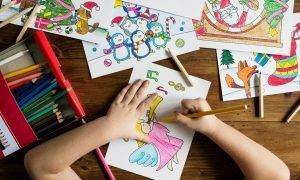 Minor ailments are a fact of life in any childcare environment, but you need to how the staff will deal with your child if they show signs of being ill – and, nearly as importantly, what their sick-child policy is in sending other children home to prevent illness spreading throughout the group. Also, are staff members properly trained in first aid? No matter how safe the environment, small accidents can happen, and they need to be treated properly. How Many Staff Are There Per Child? A healthy carer-to-child ratio is essential for safety, but also for attention. Your daycare provider is taking the place of a parent during daycare hours, and a carer who is busy with too many children can’t provide as high a level of personal attention as you’d like. 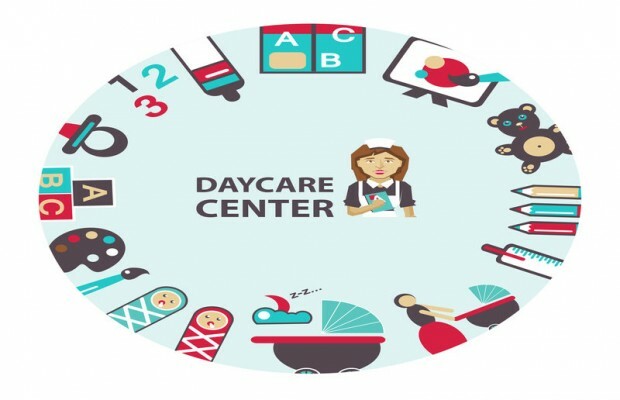 A good center will have a varied range of activities for education and stimulation and will be able to provide at least a rough daily report of activities throughout the week. A bored child will start to dislike visiting the center, leading to distress all around. On the other hand, over-stimulation can leave a child exhausted, so some quieter periods of relaxation are vital too. A healthy and balanced diet is essential for childhood development, so ensure that junk food is kept to a minimum. Freshly cooked meals including plenty of vegetables and fruits are ideal, but this also needs to be balanced against variety and acceptability. If food is often uneaten through boredom or dislike, it doesn’t matter how healthy it is. A parent should be free to visit the child care at any time. While some restrictions during designated rest times are understandable, there should be nothing to hide, and unannounced visits should be welcome. Ideally, the children attending the center should have a good spread of ages. Too many newborns may mean that older children receive less attention, but a room full of boisterous kids presents dangers if there isn’t a dedicated nursery section to safely house babies. It’s also best for healthy development if a child is free to interact with peers of their own age. Is the Center Open All Year Round? Some child care providers follow a school timetable and shut for long periods over summer or other main holidays. While this might not be a problem, it’s something you should know about in advance. Likewise, what’s the policy on public holidays and religious festivals? Do their arrangements suit your own? Is There Sufficient Staff Cover? If a staff member is ill, are there arrangements in place to deal with the situation? You don’t want to be met with a short-notice rush to find alternative childcare provider because the center can’t cover for absent staff. Who Is Responsible in an Emergency? Is there a set evacuation procedure in place, and who will make sure it’s followed? Ideally, you’d want to see evidence of a detailed plan that’s been approved by emergency services, along with the reassurance that all staff is trained in dealing with any emergency that may arise. When your child will be spending so much of their valuable childhood in a day care center, it’s vital that the correct one is chosen. Asking these right questions will help you do just that.